The Capital Development Authority (CDA) is actively pursuing its plan to evict residents of shantytowns, known commonly as katchi abadis, from Islamabad, the country’s capital city known for housing its elite and bureaucrats. A small portion of the Federal Capital has been occupied by the poor and underprivileged in the form of these slums, with apparently no rights to be regarded as fellow countrymen, but with enough unity to thwart the herculean CDA and keep its officials from evicting them from their makeshift homes in Sector I-11. According to a news report, the enforcement team of the civic authority failed to bulldoze the I-11 slum, as the slum-dwellers united against the authority in an awe-inspiring show of fortitude. Reportedly, on Monday, July 27, 2015, the CDA officials concerned reached the I-11 slum along with police to undertake an unannounced razing operation, but to their surprise the inhabitants of the area and the social activists of Awami Workers Party (AWP) were already gathered there to prevent any forceful eviction. Police officials, present on the scene to aid the CDA’s operation, could not do anything in the face of the resistance by the scores of residents and their supporters. “The CDA officials started the operation in the I-11 slum on orders from the Islamabad High Court (IHC). Prior to the operation, they randomly arrested the residents. The evictions were planned to be forced, without giving alternate plots to the residents,” Ms Tooba Syed of Awami Workers Party tells Zameen.com. “Housing is a basic right. The reason these abadis come into existence shows the state’s failure to provide its citizens with the basic necessities. 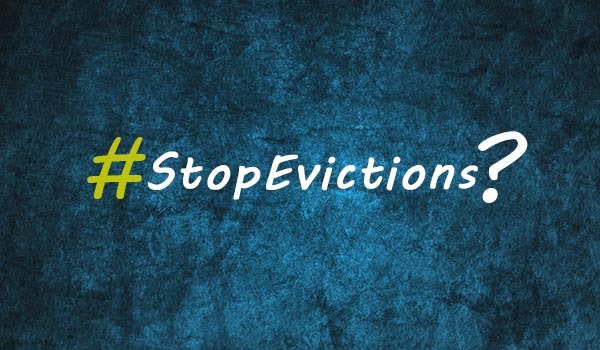 If evictions are carried out, it will push the slum-dwellers further into marginalisation and poverty. The CDA and police had to go back because of the resistance shown by the residents, including men, women and children. Our struggle hasn’t come to an end, though the operation has not been cancelled because the CDA’s stance remains the same,” she adds. A resident of the area told reporters that the CDA officials later invited the residents to negotiate. The residents had decided to set up a committee to negotiate with the CDA, and if they were allotted alternate plots, they would leave the area, he added. This is a victory for the marginalised slum-dwellers, but then again they are fighting against a development authority that has launched an operation on court orders. What do you think about the CDA’s plan to clear out these shantytowns? Let us know in the comments section below.